There have been several opportunities to get into the Christmas spirit at St. Mary’s! The Performing Arts Department took their Christmas Show on tour to Tennyson Court and several local grammar schools to spread some Christmas joy. There have been a couple of dress down days this month to support St. Mary’s families and local organizations who could use some extra help around the holidays. National Honor Society made Christmas cookies and distributed them to local nursing homes. Religion classes hosted two separate families through St. Luke’s Mission of Mercy for the holidays. Classes were asked to buy different items off a Christmas list for these families to help make their holiday one to remember. The list of things that people can partake in to make this time of year truly a special one is endless. We do our best at St. Mary’s to open up as many doors as possible to as many students as possible for service opportunities. Our Lancers can make a real difference in the lives of others during this Christmas season! At St. Mary’s, our faculty and staff always stress the importance of giving more than you receive, and what better time of the year to put that into practice? Senior Matthew Rosinski collected over 650 ornaments from St. Mary’s families to donate to Elderwood at Cheektowaga for the second consecutive year. 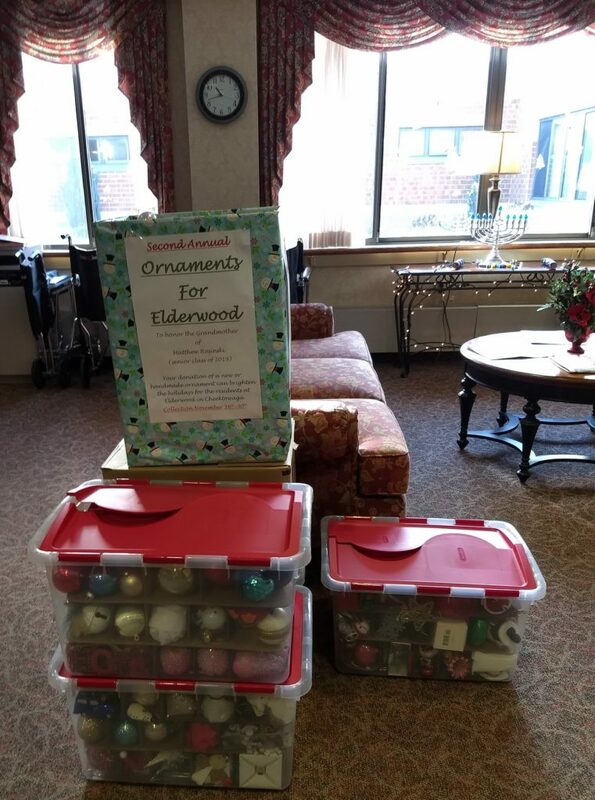 Matthew began the ornament drive in 2017 to honor his late grandmother, Ruth Pearce, who was once a resident at Elderwood and loved the Christmas season! Thank you to all those who participated! We are so blessed to have students like Matt as a part of our Lancer family. 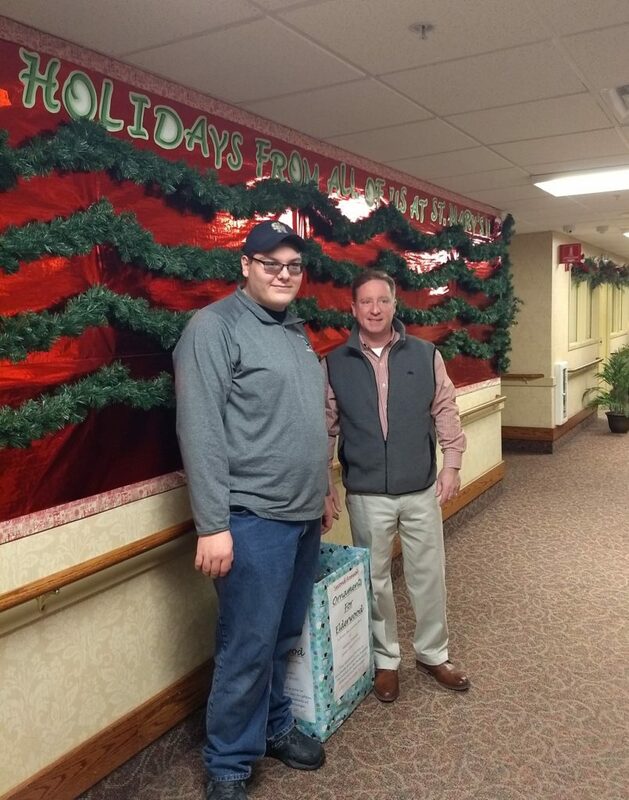 You can see him here with the Director of Elderwood Larry Piselli and the bins of ornaments that will make some very special residents’ Christmases a little merrier.